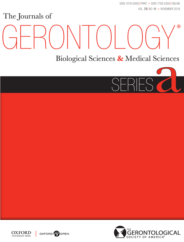 The biological sciences section of The Journals of Gerontology, Series A publishes articles on the biological aspects of aging in areas such as translational gerontology, biomarkers of aging, biochemistry, biodemography, cellular and molecular biology, comparative and evolutionary biology, endocrinology, exercise sciences, genetics, immunology, neuroscience, nutrition, pathology, pharmacology, physiology, and the biological mechanisms of late life diseases. Biological insights gleaned in studies from invertebrates, vertebrates, and mammalian species including humans will be considered. The journal is particularly interested in publishing research on translational gerontology including interventions designed to enhance longevity and healthspan. In this Q&A, Rozalyn Anderson, PhD and Co-Editor in Chief of the biological sciences section of The Journals of Gerontology, Series A: Biological Sciences and Medical Sciences, sits down with Luigi Fontana, PhD, and Mediterranean Diet expert. Dr. Luigi Fontana is well-known for his research focused primarily on healthy aging and longevity. His interest in this field began years ago in his native country, Italy, when he was practicing clinician in internal medicine. At that time in the late 1990s, the emphasis was primarily on diagnosis and treatment, not preventative care. Dr. Fontana was interested in following a different path. While working on his PhD in nutrition and metabolism, he reached out to international leaders in basic research focused on nutrition and health including Dr. Rick Weindruch, a leader in caloric restriction, and Dr. John Holloszy, an expert in exercise and health studies. For nearly 20 years since, Dr. Fontana has been engaged in aging and nutrition research at the Washington University School of Medicine. He has maintained research programs in the US and in Italy and has written extensively on nutrition and health. His newest adventure began in the summer of 2018 when he moved to Australia to work on a new initiative in health and aging at the University of Sydney. Rozalyn Anderson: How would you describe your perspective in aging research? 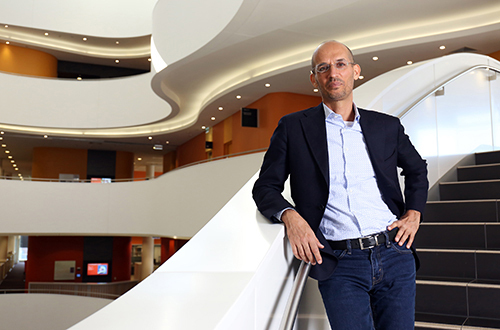 Luigi Fontana: My emphasis is more toward nutrition and exercise than drug discovery. The goal is to identify the molecular determinants of aging and use that information to design diets, lifestyle strategies, and preventative interventions to ensure prolonged health into old age. RA: So one of the areas you are best known for is your work with people on the caloric restriction diet, what is the latest there? LF: It’s really amazing. We are now seeing people from the Caloric Restriction Society reach their 70s and 80s in robust health. Many of them at this age are active, prescription free, and still without complications of age-associated diseases and disorders. The diet is really delivering on the promise of healthy aging. RA: What do you see as the next steps? LF: We really need to know the framework of how diet influences aging and health. We need biomarkers of health and of risk for age-related conditions. With these tools, we can really appreciate the impact of nutrition on disease risk and figure out what works to promote healthy aging. At this stage, we are looking for alternate ways to enhance health. For example, it is possible to choose a diet that promotes health such as the Mediterranean Diet without actually doing full-blown caloric restriction. RA: So what are we talking about when we talk about the Mediterranean Diet? Image credit: University of Sydney. LF: A key feature of this health-promoting diet is that it is largely plant-based. The emphasis is on local fruit and vegetables, whole grains, beans, and nuts – with protein sources from grains, legumes, and fish, rather than red meat. A glass of wine taken with food is not unusual. Traditionally the diet is also associated with extra-virgin olive oil but there is a caveat here; in times gone by individuals on this kind of diet has an active lifestyle with physically demanding tasks being a routine day to day occurrence. The amount of food eaten must be matched to energy demands on the body, especially with the modern sedentary lifestyle, otherwise, the benefits may not be as strong. RA: How did you first learn about this diet? LF: When I was a child, I lived in a small town in the Dolomites close to Lake Garda. My mother became interested in what was known then as the macrobiotic diet, which basically has many commonalities with the Mediterranean Diet. We had a small garden and grew our own vegetables. You could say I have had a healthy diet since the very beginning. RA: There are a number of different diets out there, how do we know what will work? LF: There is really great support for health benefits of the Mediterranean diet, from epidemiology studies of large populations that are basically observational studies to randomized clinical trials that are strictly regulated studies. All the evidence suggests improvements in health from cognition, to cardiovascular disease, diabetes, and even cancer. Keep in mind though that for any diet to really be beneficial it has to be balanced with lifestyle and physical activity. RA: So how will we get to eventually seeing this work in clinical practice? LF: The current clinical paradigm waits until you are sick and then begins treating the condition. I really believe that the future of healthcare is going to be preventative medicine where the focus is on strategies to maintain health. To get there, basic research will be super important. This is the driving force to develop ideas and then we can test these ideas in human studies. Translatability is key but without basic science, we would have no leads to follow, it’s hard to see how any advances in human aging biology could be made without this foundational work. Featured image credit: Fruits Eating Food on Wood by Pixabay. CC0 via Pixabay. Rozalyn Anderson, PhD, is the Co-Editor in Chief of the biological sciences section of The Journals of Gerontology, Series A: Biological Sciences and Medical Sciences.